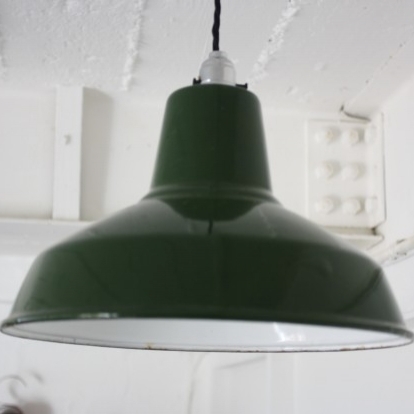 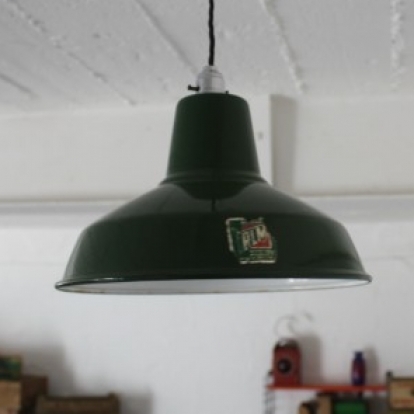 Vintage green enamel factory pendant light. 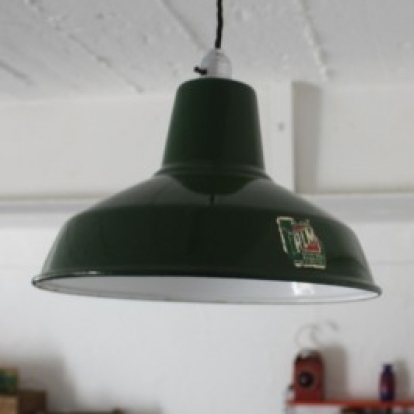 Re-wired, with a new chrome bulbholder and vintage style braided flex. 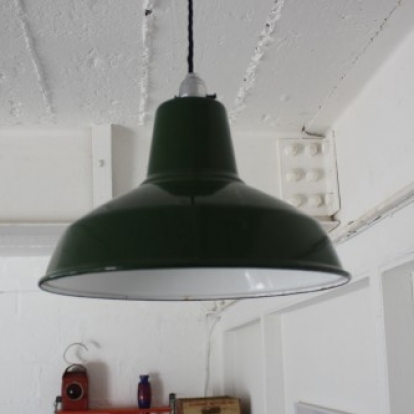 In overall good vintage condition with some small scuffs here and there.